To complement my post on Zhang Zhung scripts I have created an experimental OpenType Unicode font for the block style of sMar-chen script that is shown in Yig gzugs du ma'i ma phyi gzhon nu mdzes pa'i lang tsho ཡིག་གཟུགས་དུ་མའི་མ་ཕྱི་གཞོན་ནུ་མཛེས་པའི་ལང་ཚོ (1994) pages 7-9. I choose this script and style as sMar-chen is my favourite Zhang Zhung script, and the block style seemed to be the easiest to create glyphs for. 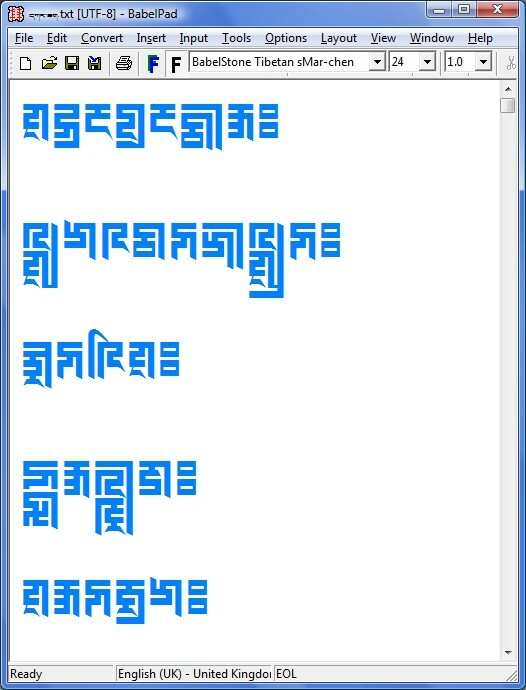 This font, called BabelStone Tibetan sMar-chen, may be downloaded for free from my website. I have named the font "BabelStone Tibetan sMar-chen" because it is mapped to the Tibetan block. If one day sMar-chen and other Zhang Zhung scripts are encoded in Unicode I will remap the glyphs and rename the font. [2017-01-01] That day has come. Marchen script was encoded in Unicode version 9.0 in June 2016, and I have replaced my original "BabelStone Tibetan sMar-chen" font with a new Unicode font named BabelStone Marchen. The Tibetan transliteration of the Marchen text in the original blog post has now been replaced by transcriptions in Unicode Marchen text, which unfortunately may not yet render correctly. 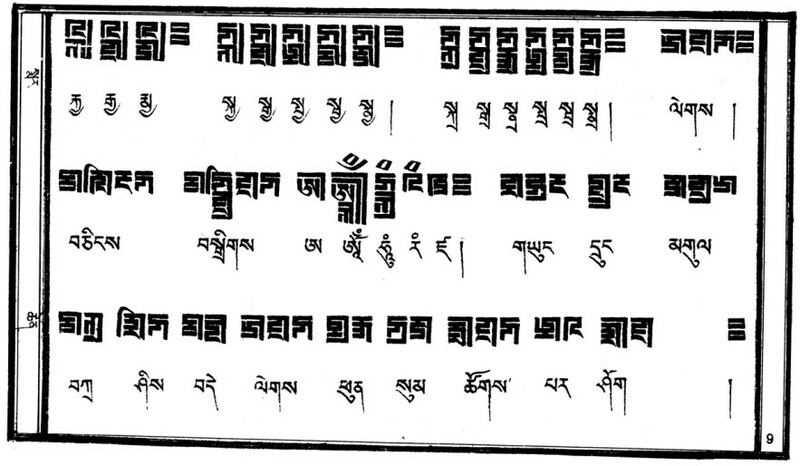 Tibetan text in this font should render correctly on systems that support Tibetan shaping such as Microsoft Vista. However, at present the font only fully supports native Tibetan stacks, and has only limited support for Sanskrit conjuncts (I don't know how necessary it is to support complex stacks for Zhang Zhung texts). Also, because of the limited sample of sMar-chen script available to me there are a number of unanswered questions about the sMar-chen script (e.g. does it use a tsheg mark ? How is a "u" vowel sign joined to a letter with no righthand stem ? ), and so in places I have had to guess how certain complex glyphs should look, often with less than satisfactory results. Hopefully I will be able to improve the font in the future when I get more scripts samples study. The following shows a page from the model used for the "BabelStone Tibetan sMar-chen" font, together with a screenshot of the same text rendered on my system using "BabelStone Tibetan sMar-chen" at 20 points. The original Tibetan text for the screenshot is shown below that, and if you have "BabelStone Tibetan sMar-chen" installed on your system and your system supports Tibetan properly, then the text should appear the same as in the screen shot. 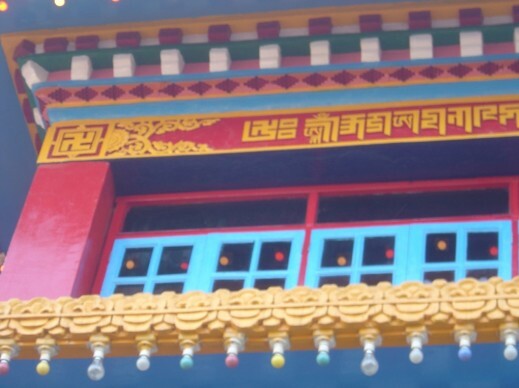 Chris Hatchell has sent me some photos of inscriptions in the sMar-chen script on a temple and library at the gYong-drung Bon Monastery in Dolanji (Himachal Pradesh), which he has kindly agreed to let me put in this post. 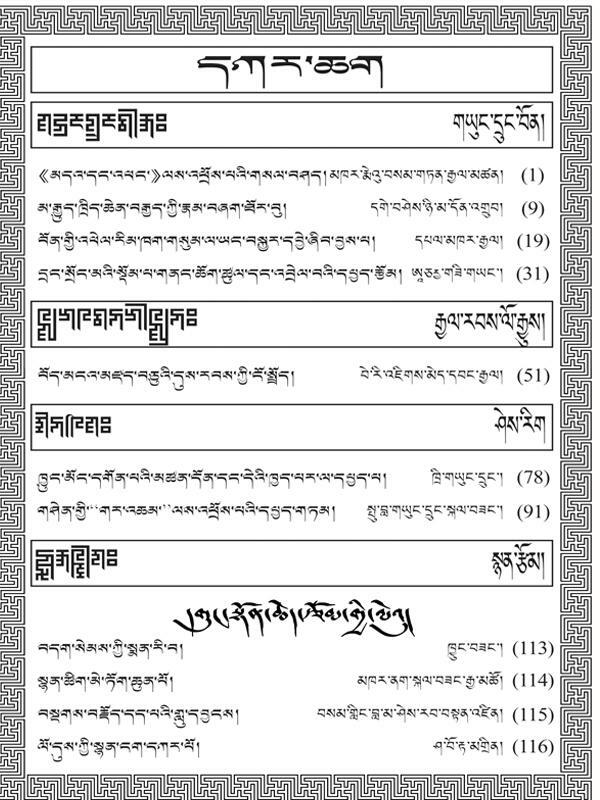 Chris Fynn has kindly let me know that you can see some nice examples of the sMar-chen script used for transliterating Tibetan at བོན་སྒོ་ལོ་དེབ་འདོན་ཐེངས་ཉེར་གཅིག་པ།. You may also observe that the sMar-chen script is used on the logo of this site, although there appears to be a spelling mistake (the Tibetan reb gong bon mang dra tshigs རེབ་གོང་བོན་མང་དྲ་ཚིགས། is transliterated in sMar-chen script as rib gong bon mang dra tshigs རིབགོངབོནམངདྲཚིགས།). If you look around the site you can also see the sMar-chen script used to transliterate Tibetan on at least one book cover. I wonder if usage such as that shown on this site is reasonable justification for encoding the sMar-chen script in Unicode? 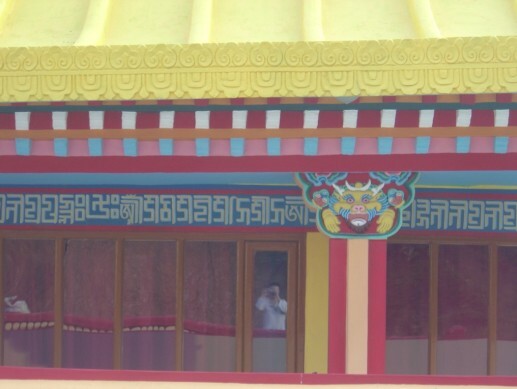 Probably not, as here and on the architectural inscriptions shown above the script is simply used to transliterate Tibetan, and in could be considered to be no more than a decorative cypher for the Tibetan script. I think that to justify its encoding as a separate Unicode script, there would need to be more examples of its use for writing the Zhang-zhung language, but at the moment the only example I have is the Zhang Zhung Royal Seal. Wow, you're screenshot of BabelPad is splendid! I love this font but it doesn't seem to work with numbers.. It would be great if you could do the numbers also..! Cheers. Thanks, glad you like it. I assume you mean the Tibetan digits. Unfortunately I have never seen sMar chen style digits (and doubt that they even exist), so I have no model for creating sMar chen style glyphs for the Tibetan digits.